KIDS BELONG TO THE COLLECTIVE: Feds Push New Plan – Appointing ‘Shadow Parent’ To Monitor YOU! Oh, hell’s no! Our government is now floating a draft document that outlines a plan that treats parents as equal partners of the school system and government. In other words, your children will belong to a collective community. The DOE and HHS are putting forth this monstrous idea. Children would be monitored at home and at school. If deemed depressed, they would be assigned a psychiatrist and meds. Over my dead body. This is shadow parenting by the feds and it is absolutely tyrannical in nature. All behavior and communications would be monitored under this program. Surprise visits at home would become the norm and you would stand an excellent chance of losing your kids one way or the other. Scotland is about to implement this doctrine later this year. This has to be stopped and fast. 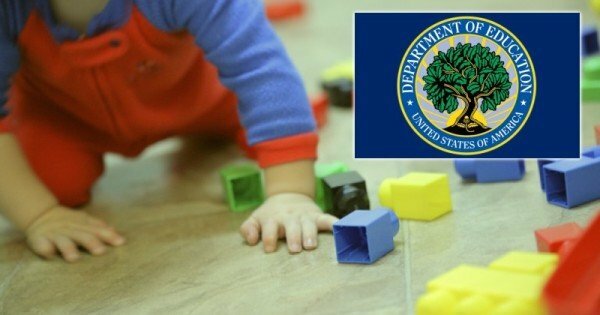 The U.S. Department of Education and the U.S. Department of Health and Human Services (HHS) has published a draft document which outlines a plan that will treat families as “equal partners” in the raising of children, opening the door for government intrusion at all levels. The program bears the hallmarks of a controversial scheme in Scotland, set to take effect later this year, under which a “shadow parent” appointed by the government would monitor the upbringing of every child until the age of 18. The document argues that Big Brother needs to know about essentially everything, for the supposed benefit of the child it wants to “partner” in caring for. Citing “research,” the policy statement claims that “the institutions where children learn cannot ignore family wellness if they want to … fulfill their mission to prepare children for school and academic success. In other words, every aspect of family life is now fair game under the pretext of checking “family wellness.” This is like having the Stasi come calling. It is Big Brother gone mad with your children as the possession being fought for. The document also extends the understanding of the word “family,” to include, “all the people who play a role in the child’s life,” a definition that could include not only teachers but government monitors. This is another reason we must elect a conservative who will get rid of the Department of Education and the Department of Health and Human Services.